Missin' you guys but swimmin' in work. ETA: Shirley's fantastic tombstone .cut .scut files! Crafty crafter, yes noy crazy. Wecome back Miss Mel, Hope you got a bit of a rest. Thanks for the sneak peek, you stinker, and for all the other links. WoWza, Mel-a-Licious, your sneak peek is ... bewitching!! Thanks for all the great Halloweenie links; you da spookiest! Hope you're well rested and ready to jump back into the fray! Your stars look awesome. Can't wait to see the whole thing. Have fun creating/playing. Its nice to know someone else is as crazy as I am about some stuff. LOL TFS my site and I looked at all of the others too! 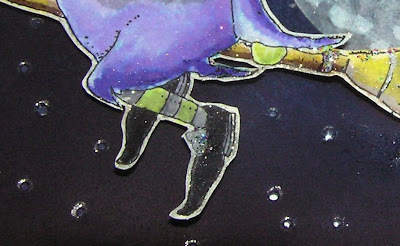 You sneak peak is a witch on a broom? Sure--tease me. You are so mean! I'm very intrigued by what I see so far so bring it on--LOL. Thanks for all those wonderful links.